Seriously excellent. I completely trust Paul to sort me out – and that’s not easy when you are in pain! 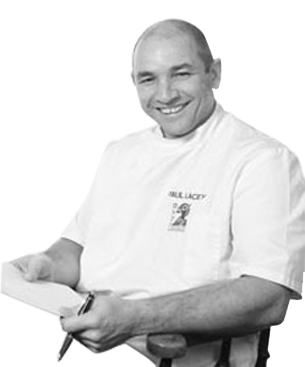 Hi, and welcome to Back2Activity.co.uk, the website for Paul Lacey’s osteopathy practice. I am a registered Osteopath practicing in Woodbridge & Melton, serving the Suffolk Coastal area, covering Wickham Market, Framingham, Saxmundham, Aldeburgh and outlying areas with a range of treatments designed to reduce pain & promote healing. Suffering aches & pains that affect day-to-day living. Carrying a sports or work-related injury. • Generalised aches & pains. • Joint pains including hip & knee pain from osteoarthritis in association with other treatments. • Arthritic & Rheumatic pain. • General, acute & chronic backache & back pain*. • Neck pain & ‘whiplash’ *. • Headaches arising from the neck. • Joint pains & Lumbago. • Peripheral Nerve pain associated with impingements. If you would like to find out whether osteopathy is able to help with your condition or to book a consultation please contact me. • Initial consultation usually takes about 45 minutes to 1 hour and will include treatment if appropriate. A full medical history will be taken, including current complaint, previous injuries and general health & lifestyle. It will speed the process if you bring any x-rays, scans, or reports of any investigations, and if on any medications, the prescription details, please. • A postural & physical assessment will be undertaken and you will normally be asked to remove some of your clothing* in order to evaluate structure & movement of your body to identify point of weakness, excessive strain or specific injury. • The skilled techniques of Osteopathy can allow you a speedy return to normal activity. Treatment is aimed at reducing pain and discomfort, allowing a progressive return to normal levels to activity through treatment and advice on rehabilitation. • There are times when it is wise for you to take medication during your osteopathic treatment to aid a speedy recovery. * Depending on the complaint it is quite usual to be asked to undress to your underwear to allow for a full holistic diagnosis, as the cause of your pain maybe different to the site of your pain, e.g. pain in legs maybe from pelvis or lower back. So please wear appropriate underwear or shorts. Witnessing someone injured playing rugby who was treated successfully by an osteopath, left a lasting impression on me. 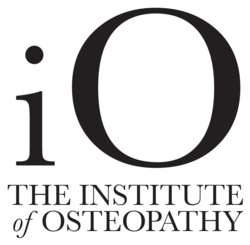 Early this century, a career change beckoned and I decided to train for 5 years & qualify as a registered osteopath, graduating from the London School of Osteopathy. Additionally I qualified in clinical sports massage in 2004 and continue to develop professionally, gaining further skillsets in ultrasound, taping and strapping, myofascial release techniques, gait analysis & orthotics prescription. As an adjunct to treatment I also use dry needling & manual lymphatic drainage (MLD) to promote a healing response. Suffolk born, schooled in Africa, served in HM Forces, ex-pat in Middle East & widely travelled, I am able to bring a wealth of life’s experience & practicality to the treatment session, allied to a range of Osteopathic and sports massage based approaches to help clients with the management of their musculo-skeletal complaints. My areas of special interest are posture/scoliosis, frozen shoulder, sports injury recovery & foot mechanics. I hold a strong belief that if you can alter and assist in correcting people’s postures and biomechanics through osteopathic treatment and active rehabilitation & exercise, this can have a substantial influence on their life by decreasing pain and increasing overall function and well being. I never rush the consultation and my clients, I hope, notice that my first priority is treating your condition. I allow ample time to discuss everything I’ll need to make a considered diagnosis. 9.00am – 4.00pm Sat Evenings/Weekends by appt. Directions:Opposite The Cake Shop Bakery – between The Yorkshire Building Society & ‘CC’ (a dress shop). Please do try to give at least 24 hours’ notice of any change in the agreed appointment time. If you do not cancel your appointment and don’t turn up, you will be charged for the session.